You are currently browsing the tag archive for the ‘Erick Zonca’ tag. 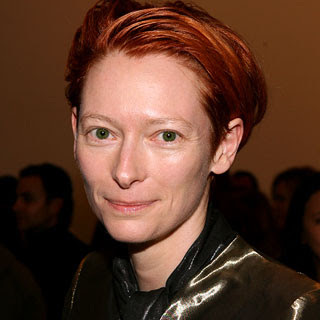 I can’t figure out Tilda Swinton. Part of it is that she creeps me out, and I don’t know why. 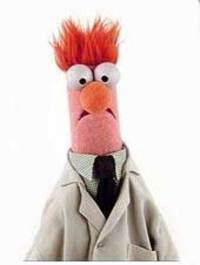 Maybe it is her more than passing resemblance to Conan O’Brien and Beaker. But I can’t decide what sort of roles she should be playing. In thinking about this piece, I was also thinking about who is comparable to her. I just came up with John Malkovich, and I’m not sure there’s going to be anything better. She’s the star of Julia, which is relevant here because of the buzz that Swinton has a shot (albeit a long one) to get a Best Actress nom for the title role. And I’m of the opinion that with a better fleshed-out character in a better fleshed-out film, she might have had a pretty good case. Which is perhaps a bit odd, given that the movie clocks in a little over two hours and Swinton is the focus of nearly every minute of every scene. Swinton’s character is an alcoholic, and as with many who suffer from the disease, it defines pretty much everything about her. I was struck by how director and co-writer Erick Zonca decided to depict Julia’s alcoholism. 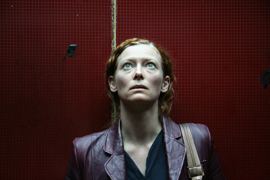 I think he (with the obvious help of Swinton) manages to successfully walk a fine line in showing how sad Julia’s life is without ever going over the top or resorting to cliches. It is all too easy to glorify alcoholism or turn a drunk into some melodramatic wretch. At an AA meeting and later after a night of drinking/blacking out, Julia meets Elena (Kate del Castillo) who happens to also be her neighbor. Elena claims that her son’s rich paternal grandfather has custody of the boy and asks for Julia’s help, offering a substantial sum of money. Elena is soon written out of the film, somewhat clumsily, but not before a scene that would have put her into the Supporting Actress race, had she been a higher profile name in a higher profile film. The rest of the film has Julia stumbling through kidnapping the child, with the idea of getting a ransom, which leads her to Mexico, where the kid gets kidnapped from her. One of the film’s major problems is that Julia isn’t a compelling character (though she is, to be sure, quite interesting). She’s mean, greedy, basically just not a nice person. Which probably is directly related to her alcoholism, perhaps she doesn’t quite know how to relate to people while sober. It hard to feel anything other than vague disgust toward the character, even her redemption is murky. And that’s a significant stumbling block to a character-driven film where Julia as a person is supposed to maintain interest in what is otherwise a fairly uninteresting kidnapping story. I liked the supporting cast, I mentioned del Castillo, but Saul Rubinek was definitely underused. The revelation to me, though, was Bruno Bichir (who, according to imdb, has had some success in Mexican entertainment and is good friends with Diego Luna and Gael Garcia Bernal). He plays a suave stranger Julia meets in Mexico, and just might have been the most interesting character in the film. If I were to have recut the film, I would have left manic del Castillo in a little longer, given Rubinek a stronger roler, probably cut out a good chunk of the middle section, which drags, and transferred that time to the Mexican scenes, exploring Bichir’s character more in depth. 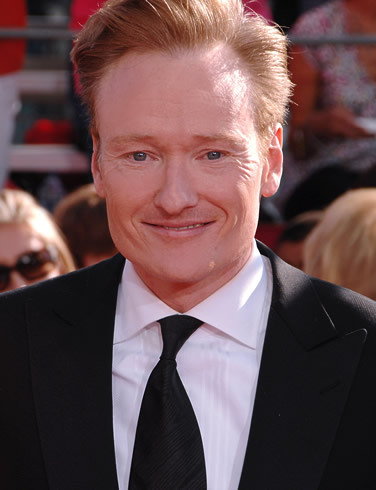 So, OK, maybe I’m just looking for a sequel spinning off his character. Obviously it is pretty early in the year to be assessing Best Actress nominations. Swinton is certainly memorable here, but I’m a little skeptical it is going to rank among my favorite performances, and given the film’s low profile, it seems relatively unlikely Swinton will grab her second Oscar nom.